One way to ensure that problems related to your garage door are avoided is to make sure that your door is maintained properly. This can be done by performing minor repairs, conducting safety tests, as well as replacing worn parts. Early detection and repairs should be part of your garage door maintenance system in order to avoid problems from escalating. Keeping this in mind, you can count on our professional technicians for minor repairs, and you will immediately see the difference in having a well-maintained door. Among the types of safety tests that we can perform on your door include visual inspections, looking into the springs, rollers, cables, pulleys, as well as mounting hardware and checking for any signs of damage or wear. We can also perform a balance test to ensure that the opener system of your door works accordingly. At the same time, a reversing mechanism test is also essential in order to ensure the prevention of possible entrapment. While it is possible for you to perform some of these maintenance tasks by yourself, you have the option to call for our professional services if you are not comfortable doing them alone. Our trained service technicians will be able to spot the potential problems, and take are of your door right away. In order to avoid your door stopping to operate completely, you must replace worn parts right away. 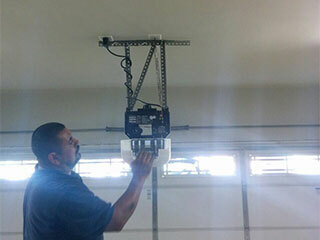 In fact, this should be a part of your garage door maintenance checklist. If you are not confident when it comes to replacing worn parts by yourself, no need to worry, we are here to help you out! While it is possible to perform some safety tests by yourself, replacing parts can turn out to be quite tricky and challenging to accomplish. A wrong move can even make things worse, if you’re not careful. A skilled technician from our team can help you out today! Call us today for a routine maintenance check!